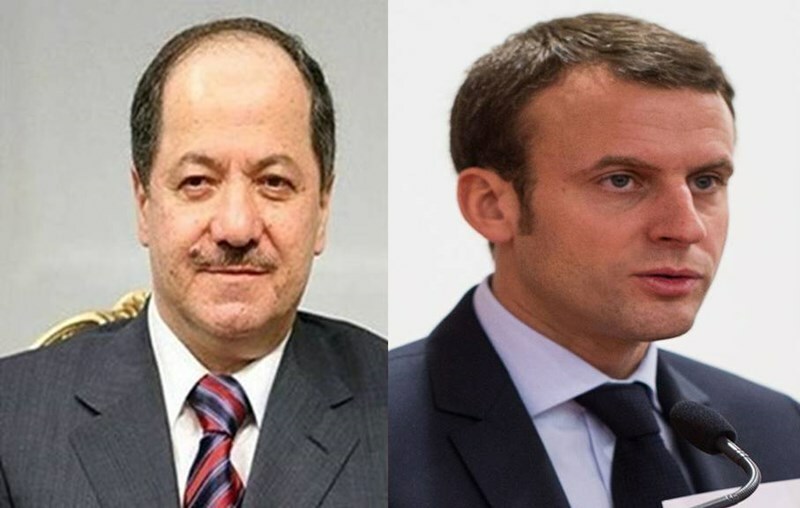 Salahadin, Kurdistan Region of Iraq, (Krp.org)- President Masoud Barzani held a telephone conversation with Emmanuel Macron, the President of France today. During the conversation Presidents Barzani and Macron spoke of the latest political situation between Erbil and Baghdad and focused on the need to resolve the outstanding issues as soon as possible. President Macron noted that he will continue to work towards finding solutions so that Erbil and Badgahd can begin the process of negotiations through peaceful means.